So, a little while ago, I decided that I needed to lose some weight and get healthier. Eat better. Sleep….ever. Exercise…um….some. It was not a New Year’s Resolution. I don’t make those, because I don’t like being told what to do, even by myself. It was just a…holy crap, woman…your metabolism has gone on vacation and you need to do something about it before you have to wear exclusively elastic waist bands for the rest of your life, kind of realization. Although, elastic waistbands are pretty awesome. But I am a jeans girl, and would miss my jeans….and I am not about to get a pair of these hideous things. It has been exactly one month of my new healthier lifestyle, and I am proud to say I have stuck to it pretty well. This a new record for me and this kind of thing, too. Thirty three days. That beats my old record by….um…30 days. For my eating, I have found the only thing that has ever worked for me, is counting every single calorie that goes into my mouth. Tedious….but necessary. I mean, do you know how many calories are in a handful of Cheez-its? Me neither, off the top of my head, but it is a lot. Which is not fair, because they are so small. Damn sneaky, those things. Ok, wait…I had a point here. No, really, I did! What was it? Oh yeah….I track my calories and exercise with Dailyburn. And it has an iphone app, too. And my other point was that I have been doing really well, keeping to better choices…until today. Do you know what time of year it is? 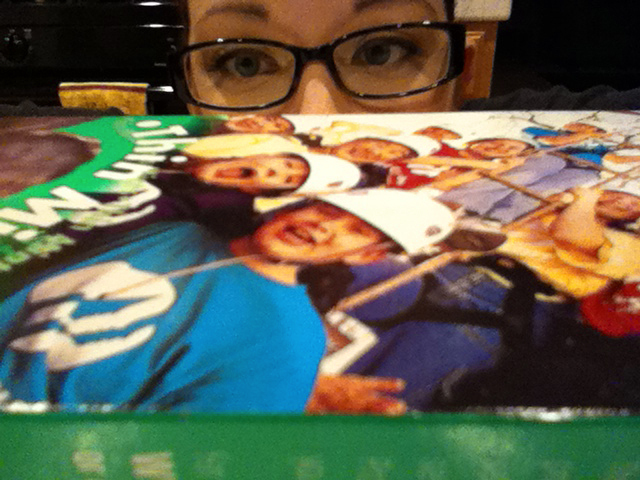 It is time for Girl Scout Cookies. Some sweet, little girl scout rang my door bell, and I was blindsided by a whole little red wagon FULL of cookies. Girl Scouts are even trickier than Cheez-Its. Well, this particular Girl Scout did not earn her diet wrecker badge today. No way. I bought only one box of thin mints, and nothing else. One box. Ha! Take that you devious, little cookie peddler. Ok, so…I may have only bought one box because that is all of the cash that I had. Maybe. Now, if you excuse me, I will be in the kitchen, sniffing the thin mints package. There are no calories in sniffing.